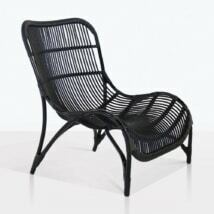 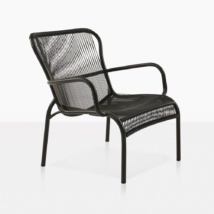 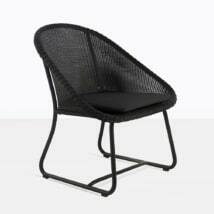 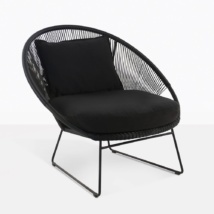 The Sahara outdoor relaxing chair is a fun and contemporary spin on the classic wicker chair. 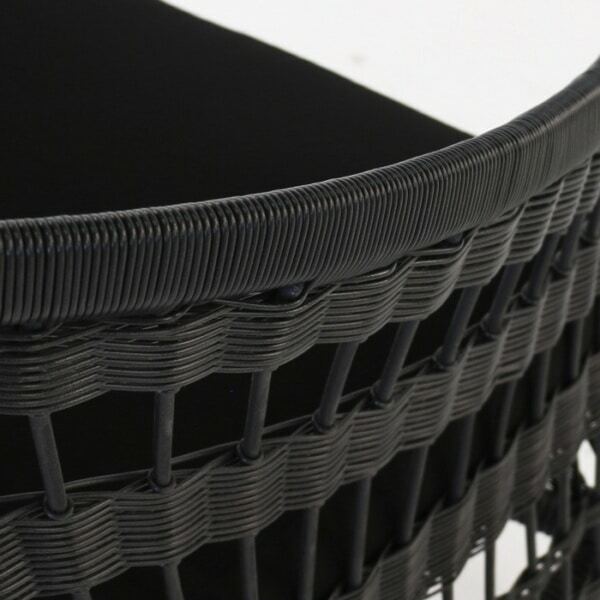 The tub-style frame gives it a modern edge while the airy wicker weave has an eclectic vibe. This chair is perfect for your outdoor garden, sitting by the pool or even on your balcony so you can sit and enjoy the view. 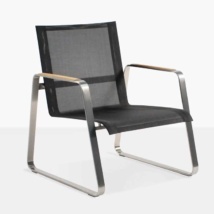 The frame is made of powder-coated aluminum to keep it lightweight and durable and the seat comes with a Sunbrella cushion and back pillow for comfort. 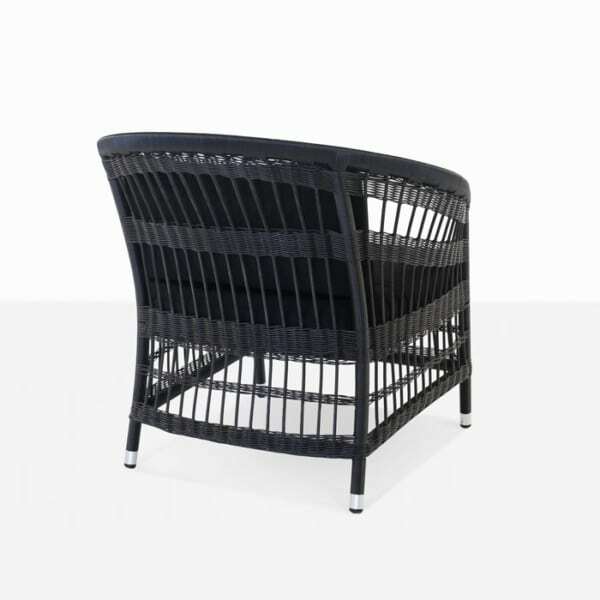 The Sahara wicker relaxing chair in black is made to be used outdoors and should be kept clean to keep it looking its best. 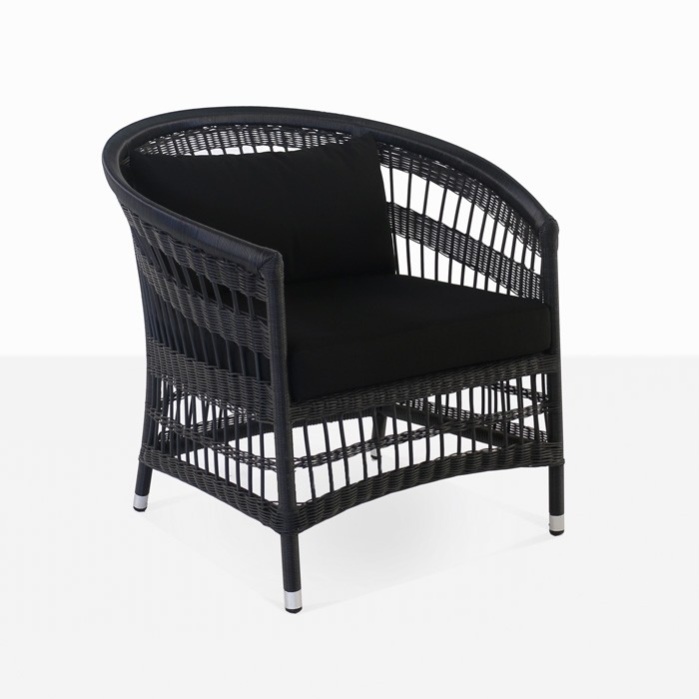 The wicker is a synthetic weave that is strong and durable while still looking fantastic. Pair this chair with 3 more Sahara outdoor relaxing chairs, a few accent tables and you will have a great outdoor relaxing space that is fun and contemporary. 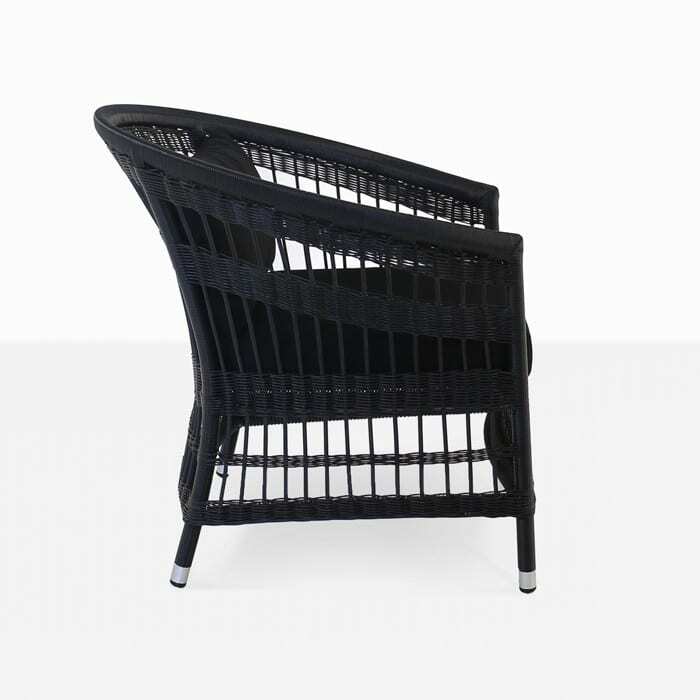 W31.5" x D31.5" x H30.5"